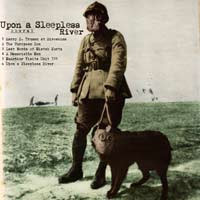 'Upon a Sleepless River' is a dense, dark, political, cinematographic album with moody piano improvisations, noise experiments and a mix of cold digital landscapes and searing analogue leads. This is a work about victory in the XXth century, from Harry Truman to General McArthur, with Kurtz the European Son providing historical perspective. Written, performed and produced by Khoral. Main instruments : Moog Little Phatty, Prophet 08, M-Tron, Korg Wavestation, Roland D50. 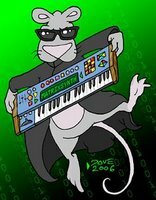 Groove on 'Last Words' and ambient sound design on 'McArthur' by John Fisher aka Ricemutt aka Bagger288. 'McArthur' is featured on short film “Cold Sweat” by Thomas Lesourd : http://vimeo.com/12580670"
Cold Sweat from Thomas lesourd on Vimeo.